The APX Automatic Control System provides hardware and vehicle controls abstraction layer for your Unmanned Vehicle, making it able to operate fully autonomous. The system has distributed architecture, all nodes are connected together through Controller Area Network (CAN) interface. There may be several boards of the same type connected to the same system, making multiple levels of redundancy. The Software and firmware can now be evaluated on Open Hardware platform for free. Autopilot is capable to control almost any possible vehicle configuration (VTOLs, USVs, UGVs, etc. ), including non-standard aircraft concepts. The flight control algorithm relies on Total Energy Control System (TECS) for improved reliability and sustainability to failures. Automatic landing with engine failures and auto-rotation for helicopters is fully supported. 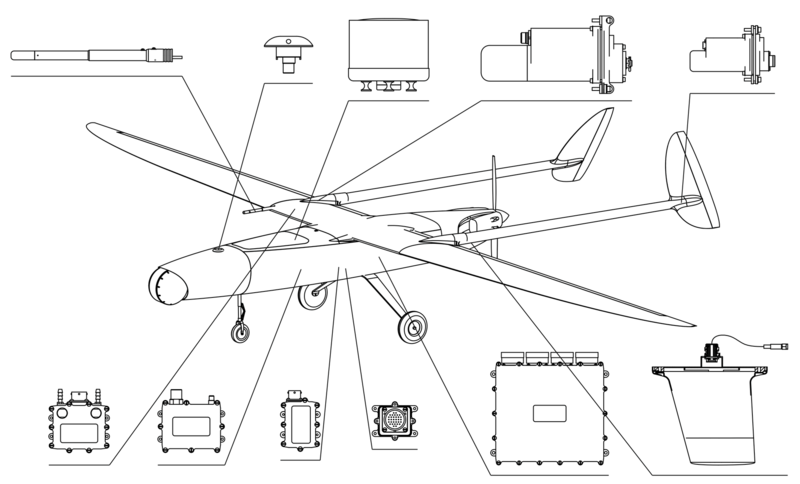 Thanks to its distributed architecture, the APX system can be used in vehicles from as small as quadcopter to big converted manned aircrafts. The redundancy layers are provided as basic functionality. Ground Control software is multi-platform and is capable to manage multiple workstations in a wide or local area network. Any specific sensor or payload can be integrated by scripting custom protocols through onboard VMs.